In Finland it had been such a shock to arrive directly in the capital and I wanted to avoid that in Sweden. 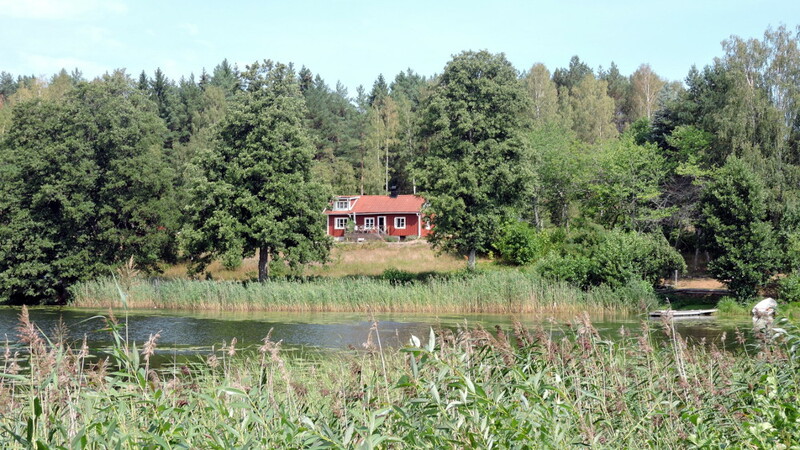 I took a ferry that arrived in Grissleham which was about 150 kilometers north of Stockholm. 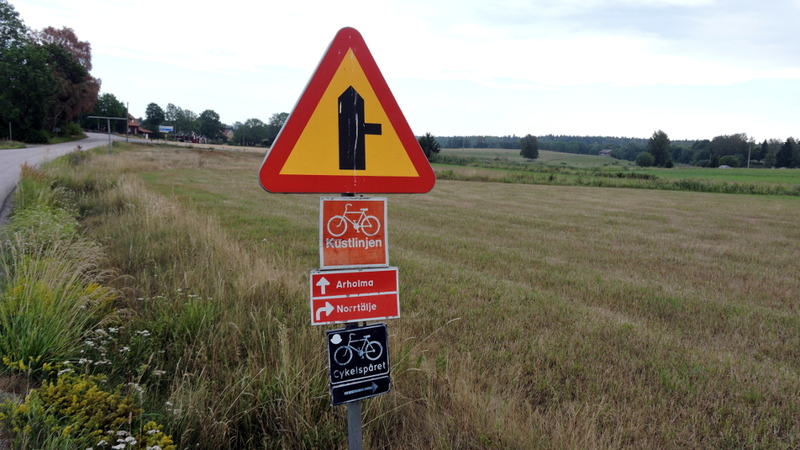 Once again, I was surrounded by a colorful forest of signs for bike routes. The bike tours were on small roads but during the holiday season and with the nice weather, they were quite crowded. I realized very quickly that Sweden didn’t use the Euro but rather Kronen. The second difference was that it was impossible to pay cash for the fuel that I use for the camping stove. All gas stations only accepted credit cards. I didn’t like to pay with credit cards and certainly not for amounts under one Euro. Fortunately, the Swedes were nice people and it wasn’t a problem. 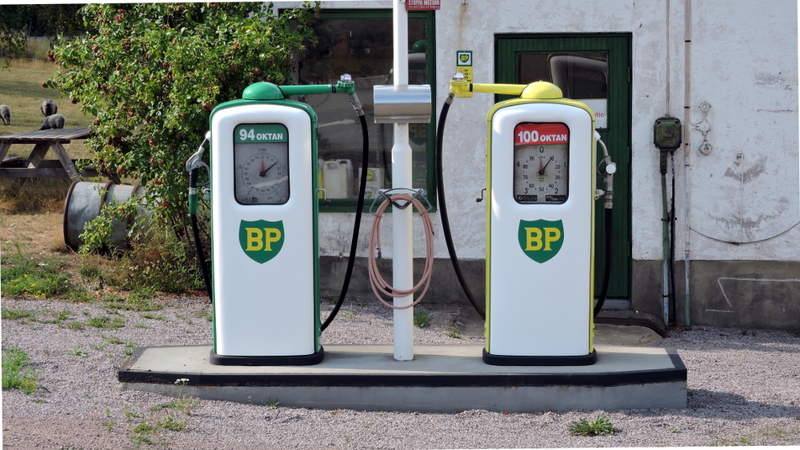 The drivers filled my 0.5 liter bottle when they fueled up and they wouldn’t accept any money for it. Thank you! Slowly the roads became smaller and quieter. Again, there were wonderful lakes where I could cool off and wash my clothing. 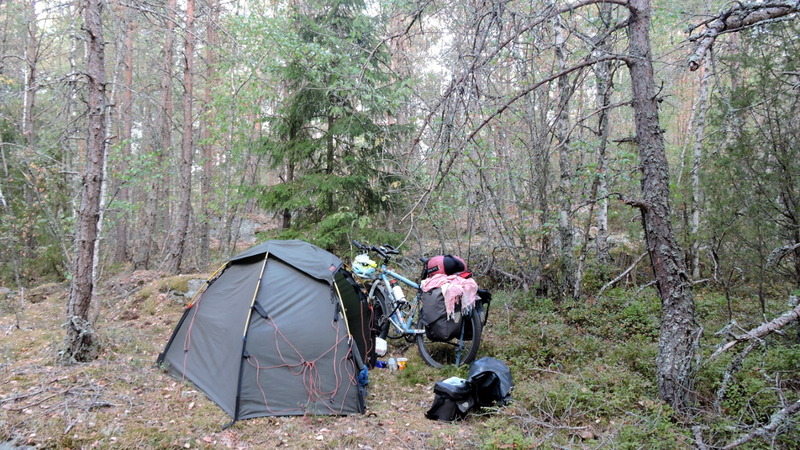 In Sweden, one is allowed to camp almost anywhere. In the evening I retreated once more to the forest. At one of the lakes, I met a young Swedish woman. She told me about the fires in the north of the country. I didn’t have access to the news and hadn’t heard about them. From then on, I didn’t use the stove in the evenings. Due to the heat there was a countrywide ban on open fires. Rome was built on seven hills and Stockholm on one hundred islands. The bike path meandered nicely along the promenade. Everywhere were mooring points for small sail boats. I’d like to know how many there were in Sweden. Unfortunately, there were a lot of construction sites. To reach downtown, the bike path was parallel to a multilane road over a bridge. Somehow, I found the way. Once there, more construction sites and because it was Saturday, it was very crowded. I went to a map store, got a map for the country, and discovered how big Sweden was. Afterwards, I only spent a short time in the crowded old town. There were many bike paths which were well marked. But if one didn’t know the names of the neighborhoods through which one wanted to cycle, one was out of luck. Fortunately, Swedes are very friendly and helpful. 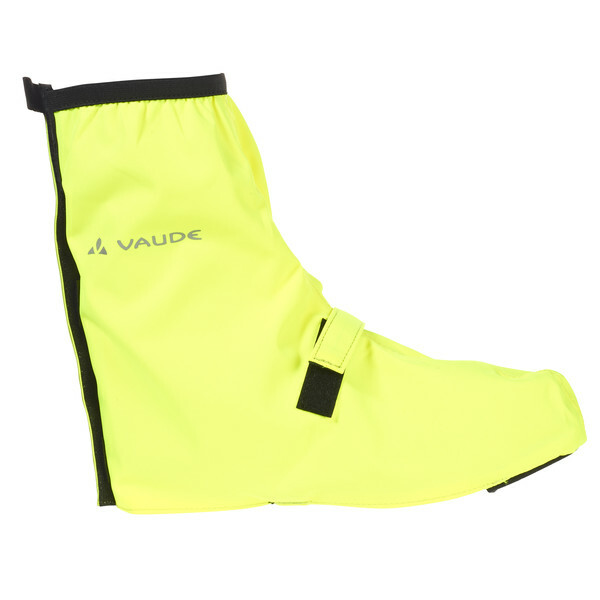 In the map store, a young Swedish cyclist approached me. He told me that close to Stockholm was a national park where one could camp. That sounded like a nice respite after the busy city and became my destination for the evening. I cycled past a cemetery. Great because one could get water there. Suddenly it was quiet and beautiful. I saw that it was a world cultural heritage site. It was the forest cemetery of Skogskyrkogården. It was filled with tall trees, in between a few grave sites with flowers, and three chapels. A real oasis of calm. After the cemetery there I continued for a short time on the paved road and afterwards it was farm, forest, and walking paths to the Tyresta National Park. I wasn’t sure if I was allowed to cycle on the small path and if a space was ahead of me where I could camp. A young hiker came towards me. I asked. Once again, I got a very friendly and informative answer. In very good English. He asked where I came from. Then he continued in very good German. I always enjoyed chatting with the Swedes. I was allowed to cycle as long as I stayed on the path and a short way ahead was a place to camp. 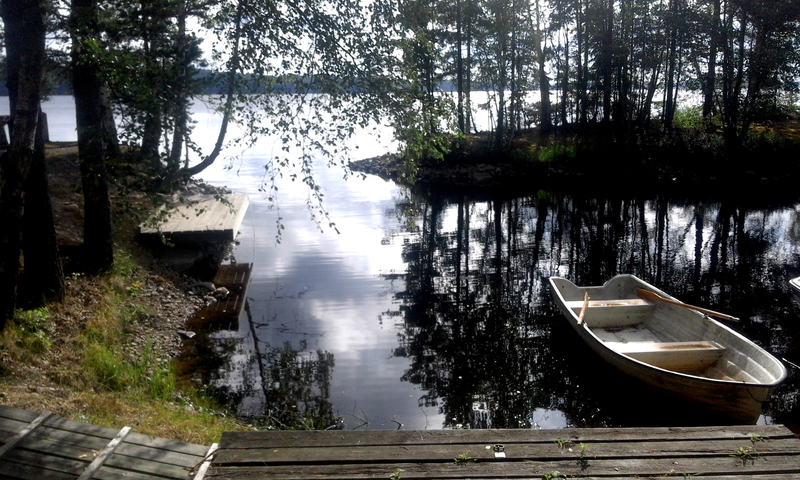 Soon I arrived at the gorgeous Stensjön (Stone Lake). Sadly, the battery of my phone was empty but I post a link. There was already a small tent but no one to be seen. I took advantage of the situation and jumped into the lake. Could there be anything better? I had left the water when the young couple returned from its hike. I had assumed that the good weather would have attracted more campers. The fire ban must have kept many away which allowed us to have a peaceful evening by the lake. We ate cheese sandwiches with tomatoes instead of the usual pasta and thanks to the hikers after a long time, I drank prosecco instead of tea. In the morning there was the long-awaited rain with three thunderstorms, one after the other. I could feel the relief of the firemen and the park ranger. The high alert for fire was reduced for a short time. In 1999 there had been a fire which destroyed ten percent of the park. The fire pit had turned into a puddle and we didn’t hesitate to use the camping stove to make coffee. After the rain, the smells in the forest were very intensive. I cycled through the forest on a gravel road. Only deer and rabbits were up that early. I saw the first car after ten kilometers. It was heaven. 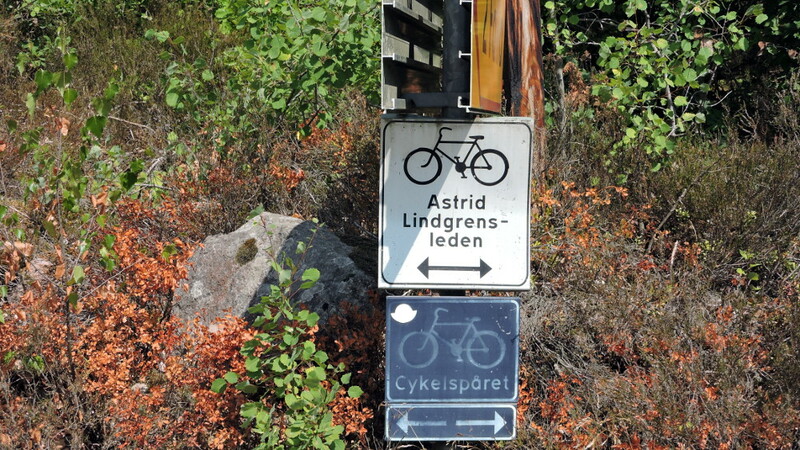 I was headed for the “Cycelspäret” which was a 2,500 long bike path along the east coast. Outside the park there was more traffic because of people on Sunday outings. The routing of “Cycelspäret” was excellent and it took me on quieter roads, around and over many fjords. In between I changed over to the “Kustlinjen” bike route. One is really spoiled for choice here. On Monday the small roads were much quieter. 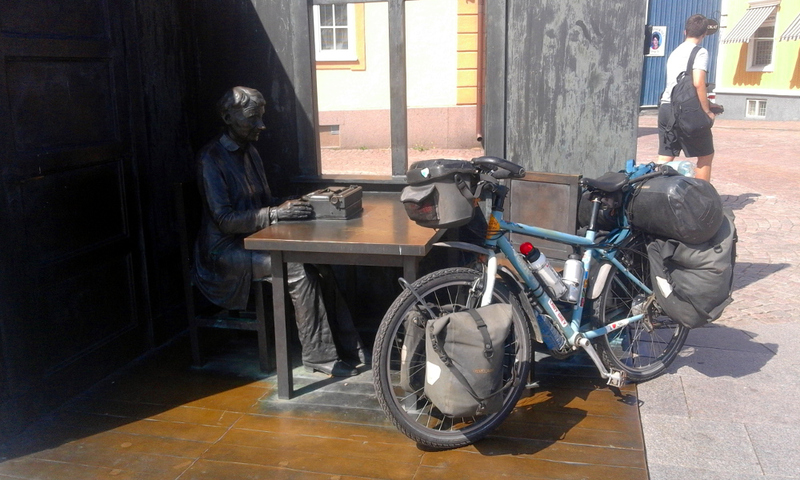 In Nykoping I stopped at a supermarket, in front of which a cycling couple was already taking a break. When I saw the woman, I knew that I had seen them somewhere before. She looked at me and laughed. We had been at the same campground in Darlowo, Poland, at the beginning of the tour. They had almost taken the same route, at the same time, and it was only now that we met again. They were headed in the same direction. On that day we met a few times and I resolved to stay one more often at camping sites. 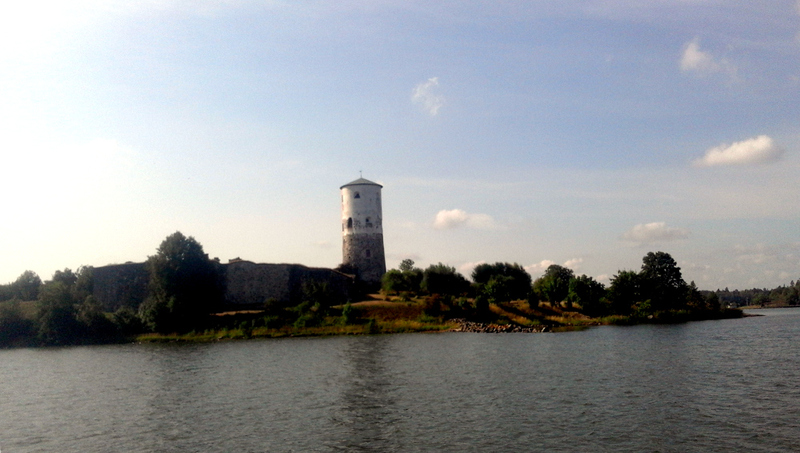 Directly on the fjord, with a few of the tower of Stegeborg, we spent the whole evening talking. After my nights alone in the forest, it was a nice change. Next day, I wanted to go my own way. There was too much traffic on the road along the coast. Then there came a mean gravel road and I didn’t want to continue on either the Kustlinjen nor the Cycelspäret. Fortunately, I found a quiet small road. I didn’t want to cycle along all the fjords and ended up on a big road which was very unpleasant. The cars raced past me. Luckily, it was only a short stretch before I went back into the forest. 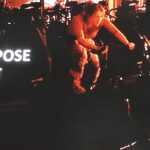 Next day, I decided to cycle along the fjords. 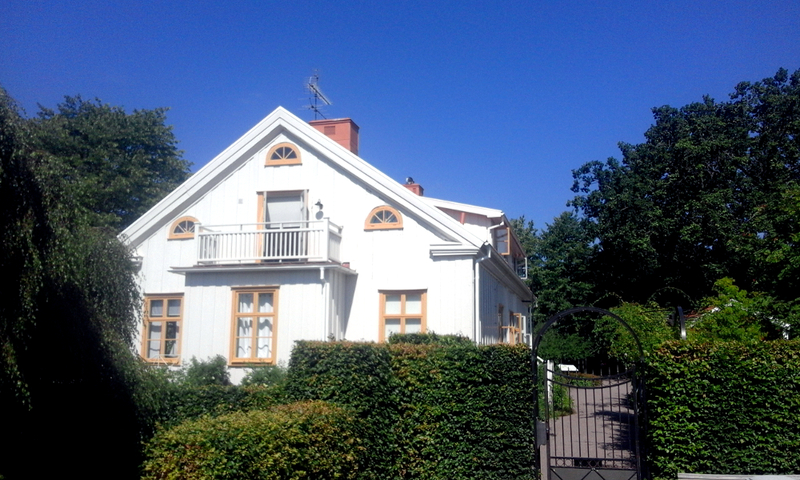 It was my last day on the east coast and I went along a peninsula to Västervik. I hardly noticed and only once in a while there was a bit of water to be seen between the trees. Sadly, there were a lot of RVs and they almost took up the width of the road. 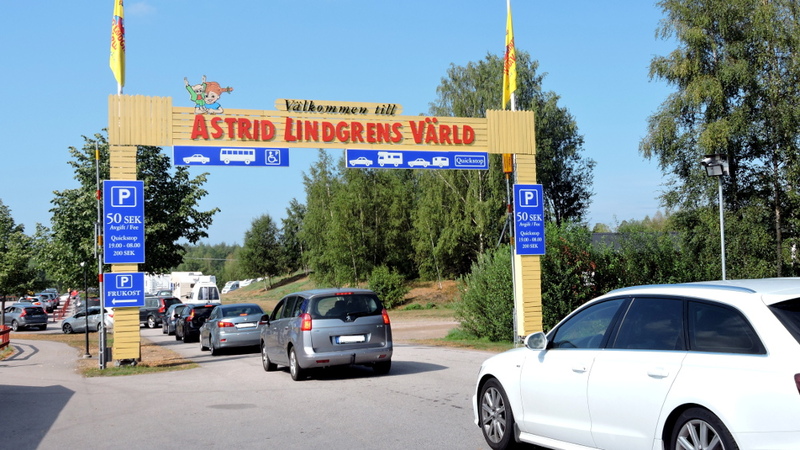 After this nice town, I took the “Astrid Lindgrens-Leden”. 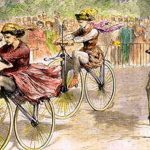 A bike path had been dedicated to her which ran along the east coast to her birth place in Vimmerby and onward to Jönköping. It was very pretty, narrow roads which went over hills and through forests. 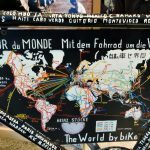 But it was weird that I cycled almost 90 kilometers although the distance from my last sleeping place was only 36 kilometers as the crow flies. And I recorded 1,000 meters change in altitude even so I didn’t go up a single mountain. The beginning of the next day was still on quiet roads. The closer I got to Vimmerby, the busier they got. 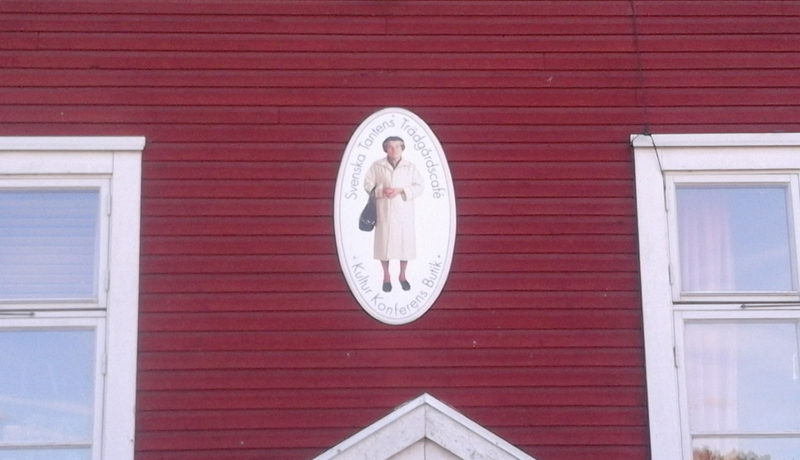 The birthplace of Astrid Lindgren was extremely crowded. 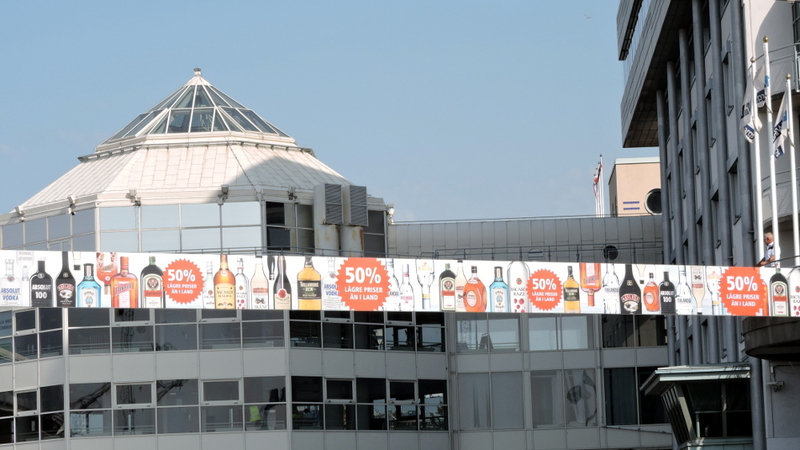 It was shortly after 10 am and the “Astrid Lindgrens Värld” had just opened. I was really in the wrong place and turned around. The house where the author had been born stood very quietly in the middle of the town. It had a museum and a shop. Here it was quiet and I could get information about the woman who had been awarded the peace prize of the German book trade. 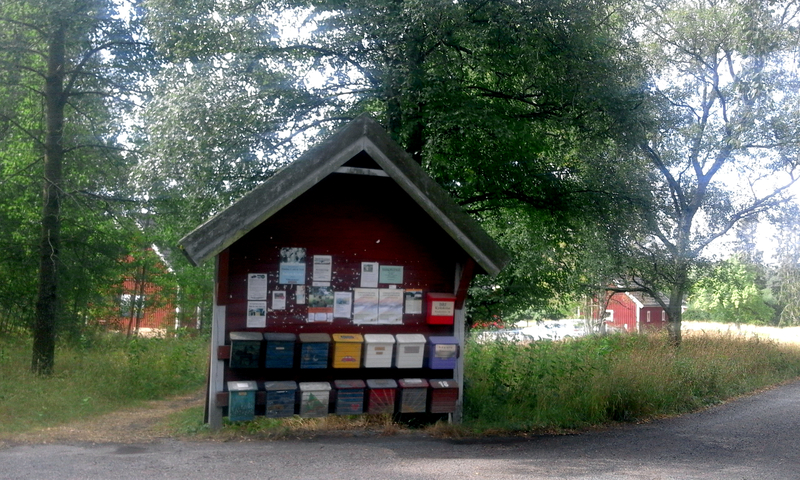 Nearby was Lönneberga and once I had cycled past it, it became quiet and hilly. Thousands of years ago, the ice had cut deep valleys and had pushed a lot of stones in front of it. It wasn’t easy to find a place to camp. In Växjö I had a WarmShower host, Pieter. He must have read a lot about me because he met me with a cold beer. First, he wanted to show me the main sights of the town. Usually I wasn’t enamored by that idea because I had already seen enough churches and museums. But Pieter really had specially things to show. 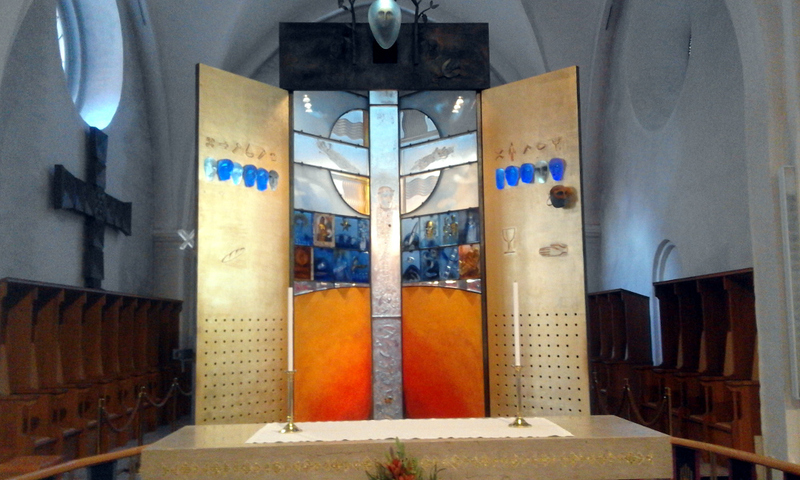 For example, the glass altar in the Växjö cathedral. It was incredibly beautiful how the light passed through the different colored tiles. 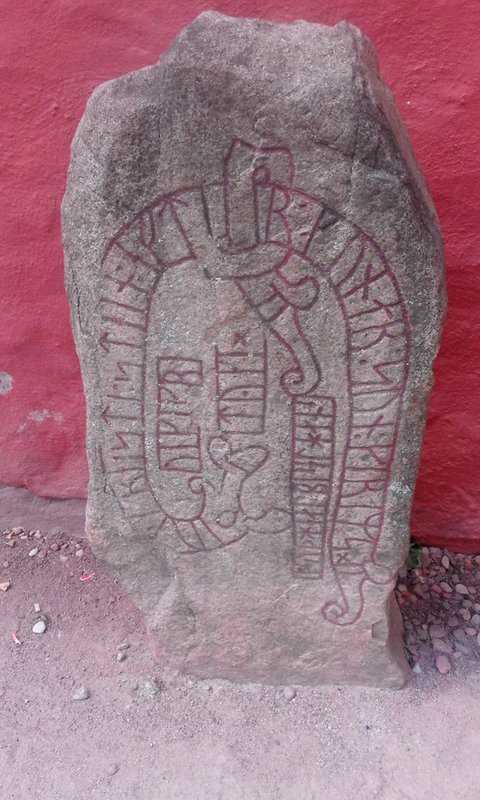 Behind the cathedral was a rune stone. I had cycled past several of those stones but didn’t know their meaning. This stone was over 1,000 years old and bore witness to the presence of the Vikings in the region. 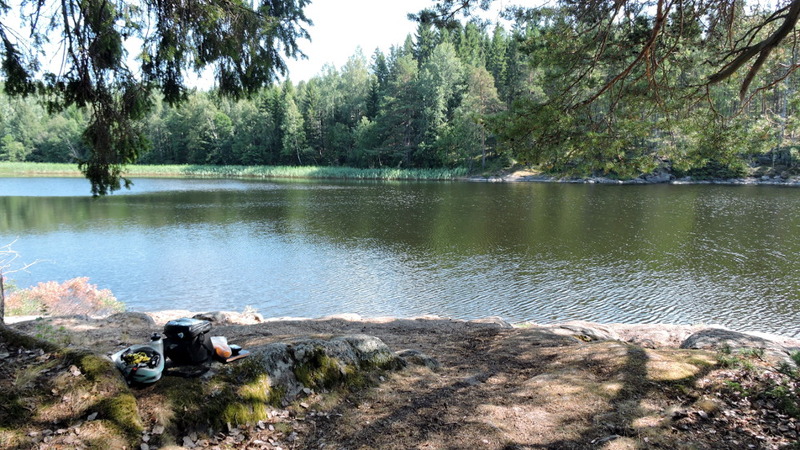 Then we came to the relaxing part of the afternoon: beer on the lawn next to the lake in Växjö. The next day we went on a nice bike tour to discover the sights a little bit further away. Pieter seemed to know everything and was very well informed about his surroundings. After a day of rest, I was well restored and continued with freshly washed clothes. 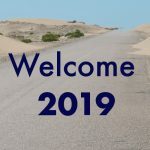 Pieter showed me the way to leave town and gave me suggestions for the continuation of my trip. Suddenly I heard screeching from the trees which didn’t belong in this part of the world. 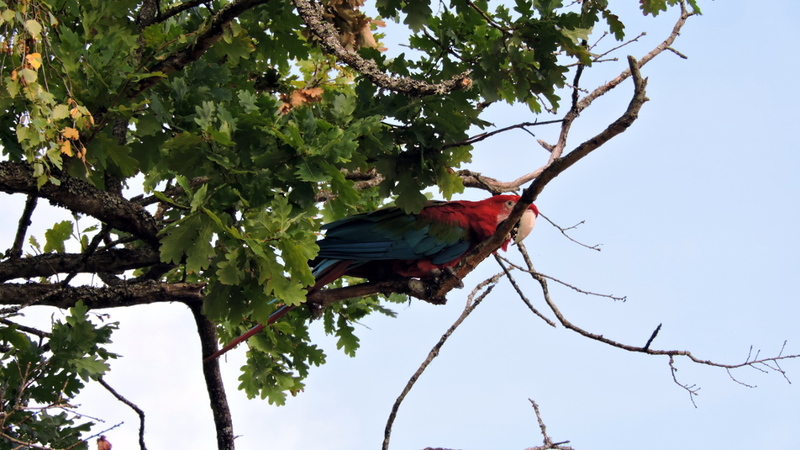 There was a parrot in the tree. Pieter had told me that there was someone who owned kangaroos and speaking birds. Maybe this one had escaped like a kangaroo. 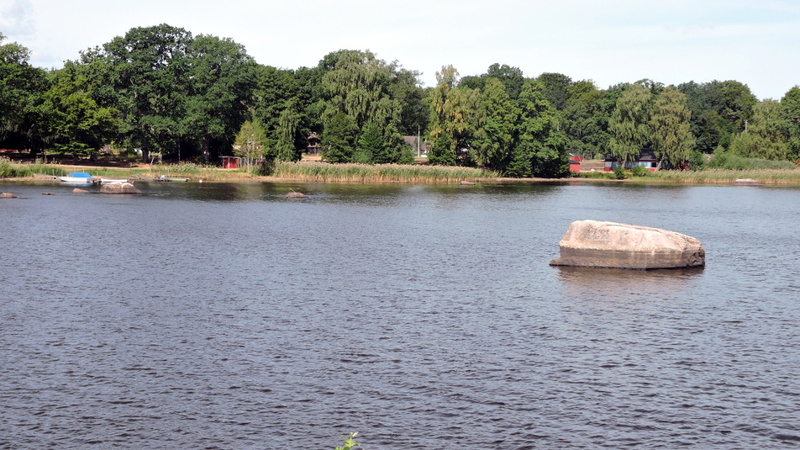 And then I cycled through a lake area of which there are many in Sweden. And it was once again mountainous. The stones indicated by how much the water level had dropped. The first larger town was Älmhult which probably doesn’t ring a bell. This was the location of the first IKEA store! 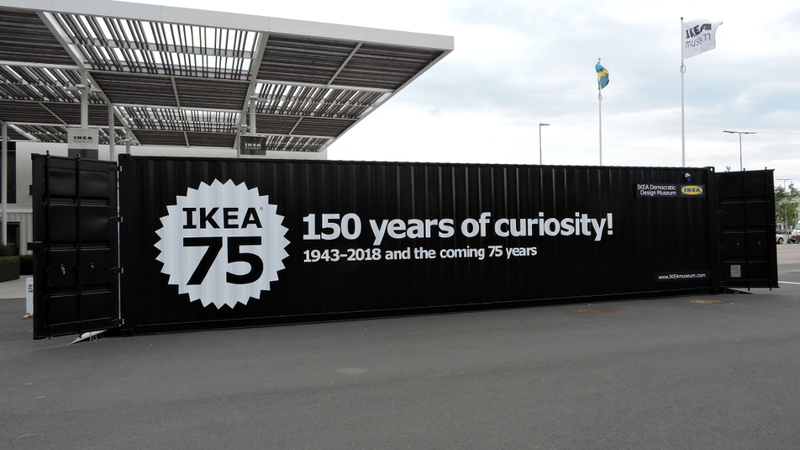 And there was an IKEA museum. I didn’t need to see this. Half of Sweden reminded me of IKEA. Most houses were built by cooperatives and looked alike. Most of them, and the newer ones, were built of wood. From Traryd I cycled on the old “Riksattan” road to Markaryd. For a change it wasn’t a bike path but the old main road between the harbor of Helsingborg and Stockholm. Here the route was idyllic along the river. Next day I was at the harbor and once again had to say good-bye to a country. I really enjoyed Sweden. The people were so friendly! There were fantastic places for camping and a great choice of bike trails which were well marked. Most of the time, the weather had been ideal. From Helsingborg I went to Helsingør (Denmark). Read about it in my next blog.